CYRUS TANG has been profiled in NAVA's The Artist Files. In her video interview with NAVA, Tang chats about becoming an artist, developing her career and exploring her identity through her practice. Robert Owen, Double Seed #2, 2016-2018, from the 'Text of Light' series, Synthetic polymer paint on linen, 122 x 122cm. ARC ONE Gallery is delighted to present, Afterglow, the latest body of paintings by leading Australian artist, ROBERT OWEN. These visually-arresting works continue the artist’s exploration of the perceptual and emotional effects of light, colour, and space. Guided by curiosity and wonder, Robert Owen’s knowledge of colour is profound. In colour he nds harmony and melody, using chromatic combinations to achieve sensations that pulsate from the walls like sound waves or musical nuances. Afterglow at ARC ONE Gallery stems from one of Owen’s diary drawings executed while living on the Greek island of Hydra in the early 1960s. On the island, Owen witnessed an eclipse of the sun: an experience that has informed the artist’s enduring interest in the transcendent capacity of space, light, and colour. Owen’s formative research and experiences of Constructivism and De Stijl are apparent in Afterglow where succinct geometric forms, vertical stripes, and squares of strong colour evoke the physical and metaphysical. Owen’s diary drawing from 1964, vibrant with its rework composition, perfectly encapsulates a synthetic moment and the relationship between time and progress. Describing the image, Owen draws on the paradox articulated by French philosopher Gaston Bachelard in his book, Intuition of the Instant, which posits life as an enduring string of moments that are in nite. It is this ash of illumination, combined with his poetic experiences on Hydra, from which Owen’s continued interest in the perceptual and emotional effects of space, light, and colour has materialised. Robert Owen is an internationally recognised and award-winning artist with a sustained practice of more than ve decades. Working in painting, sculpture, installation, and photography, he has received widespread acclaim for his work, including major public commissions such as such as Webb Bridge, Docklands (in collaboration with Denton Corker Marshall), and the Craigieburn Bypass, Melbourne (in collaboration with Architects Taylor Cullity Lethlean and Tonkin Zulaikha Greer). He represented Australia at the 38th Venice Biennale in 1978, and in 2003 he received the Australia Council Visual Arts/ Crafts Emeritus Award for a lifelong service to the visual arts. He is represented in public and private collections throughout Australia and internationally. Cyrus Tang, Golden Hour – 16.43.12.2001, 2018, archival pigment print, 120 x 70cm. CYRUS TANG is included in the exhibition This Wild Song at Town Hall Gallery, Hawthorn Arts Centre. The exhibition celebrates strong female leaders in the arts community and their creative vision. The opening is 1 September, 2 - 4pm and continues until 21 October. Eugenia Raskopoulos, Diglossia #4, 2009, pure pigment print on archival paper, 140 x 93.5 cm. Congratulations to EUGENIA RASKOPOULOS! Announced as one of the artists selected for The National: New Australian Art 2019 at Carriageworks. The exhibition presents the latest ideas and forms in contemporary Australian art, curated across three of Sydney's premier cultural institutions: the Art Gallery of NSW, Carriageworks and the Museum of Contemporary Art Australia. 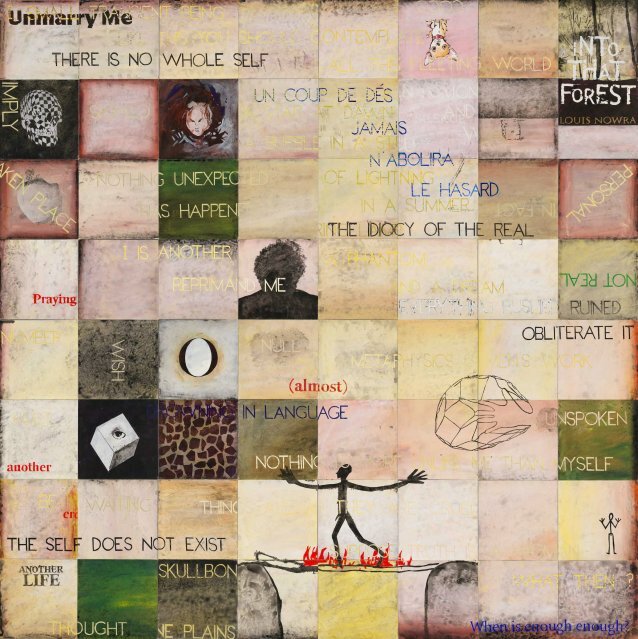 IMANTS TILLERS is included in the exhibition '20/20 Celebrating twenty years with twenty new portrait commissions' at the National Portrait Gallery, Canberra. '20/20' showcases the dynamic suite of new portraits commissioned to celebrate the National Portrait Gallery’s 20th year. Imants Tillers has painted a portrait of one of Australia’s most prolific playwrights Louis Nowra. The exhibition opens 20 October and continues until 10 February 2019. Imants Tillers, 'Study of Louis Nowra', 2018, synthetic polymer paint and gouache on 64 canvas boards. Commissioned 2018. 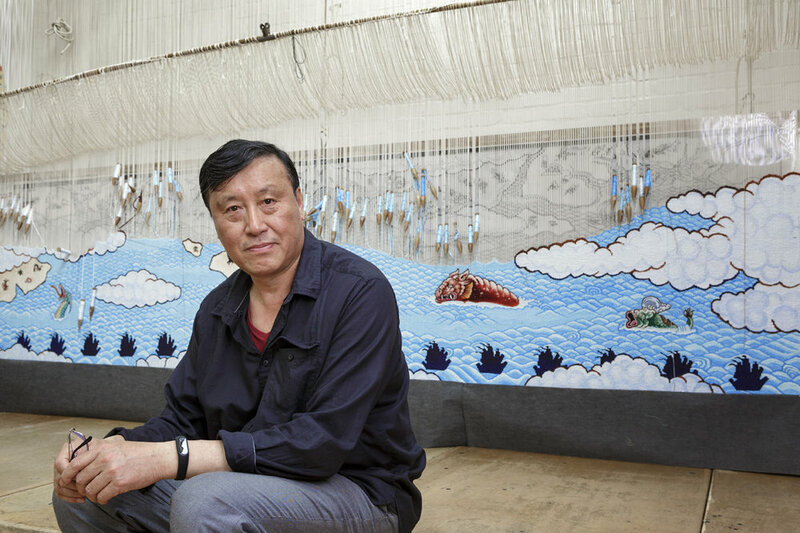 GUAN WEI is included in Painting with Thread, an exhibition of recent tapestries and samples from the collection of the Australian Tapestry Workshop, Melbourne (ATW). Painting with Thread will offer Sydney viewers a glimpse into the behind-the-scenes process of tapestry creation by ATW weavers from design, sampling, to weaving and completion. The selection of tapestries and samples on display emphasise the experimental and innovative approaches to contemporary tapestry design, as well as the diversity of recent projects and collaborations at ATW. Reviewed in Art Guide, the exhibition continues until 26 September. 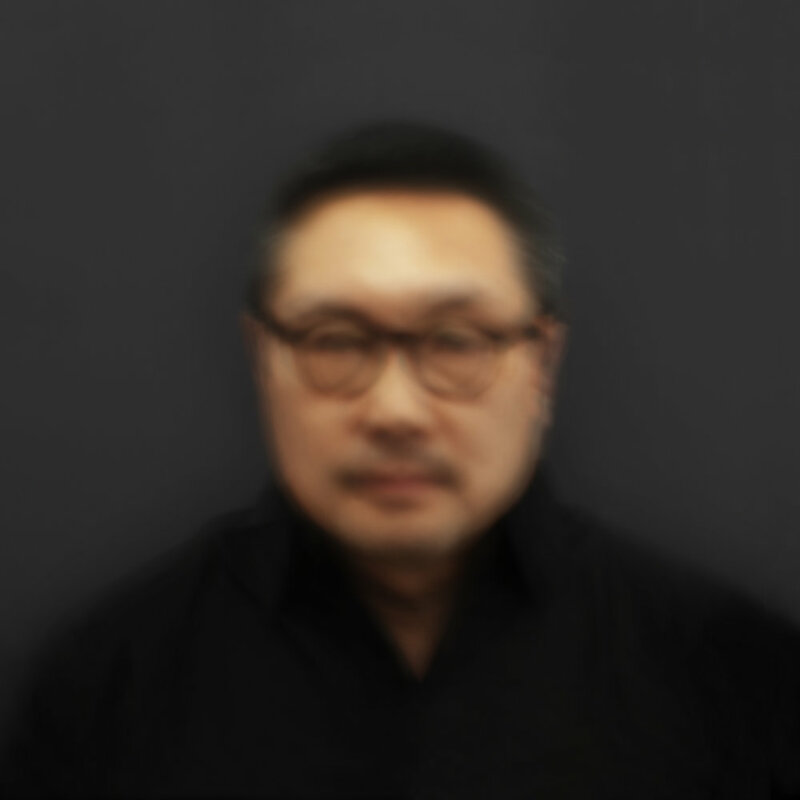 Cyrus Tang, A Simple Life (118 minutes), 2018, archival pigment print, 65 x 65cm. Congratulations to JULIE RRAP, CYRUS TANG and ANNE ZAHALKA, who have been shortlisted for the prestigious 2018 Bowness Photography Prize. The winner will be announced 11 October. The exhibition is open from 29 September – 18 November 2018. HONEY LONG & PRUE STENT are featured in The Herald Sun today, as part of an article titled, 'Rising stars'. Stent is quoted: "We just evolved from hanging out and making things, playing, and it slowly evolved into an art practice." Long adds, "It's really nice making art in a way where it's just as much about the relationship as it is the end product." Maria Fernanda Cardoso, Naked Flora #6: One Wife, five husbands, digital print, acrylic face, 45 x 30cm. 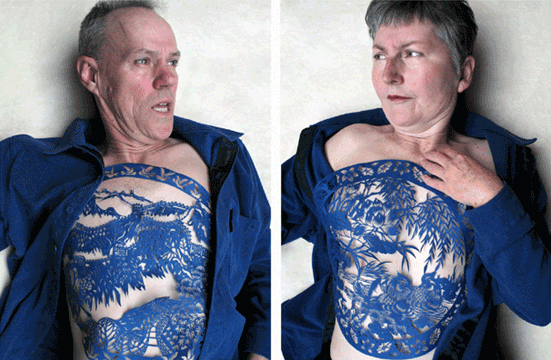 MARIA FERNANDA CARDOSO is included in the exhibition Human Non Human at the Powerhouse Museum. Human Non Human asks the questions: What makes us human? How might humans adapt in the future? 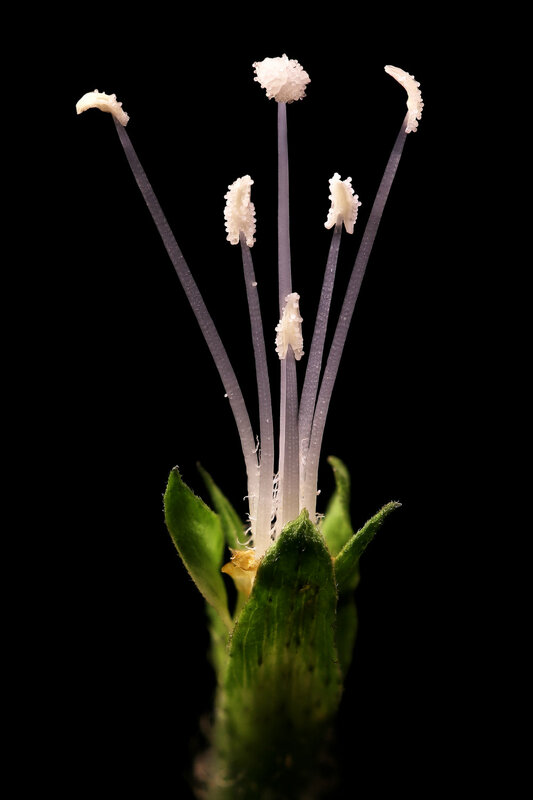 The immersive installations combine architecture, design, biotechnology, botany, chemistry, film and performance, offering space in which to consider the past, present and possible futures of human and non-human relationships. The exhibition opens 7 August 2018 and continues until 27 January 2019. ROBERT OWEN, JULIE RRAP & ANNE ZAHALKA are included in the exhibition National Art – Part One at the National Art School, Sydney. The exhibition will include over fifty artists with works spanning seven decades. 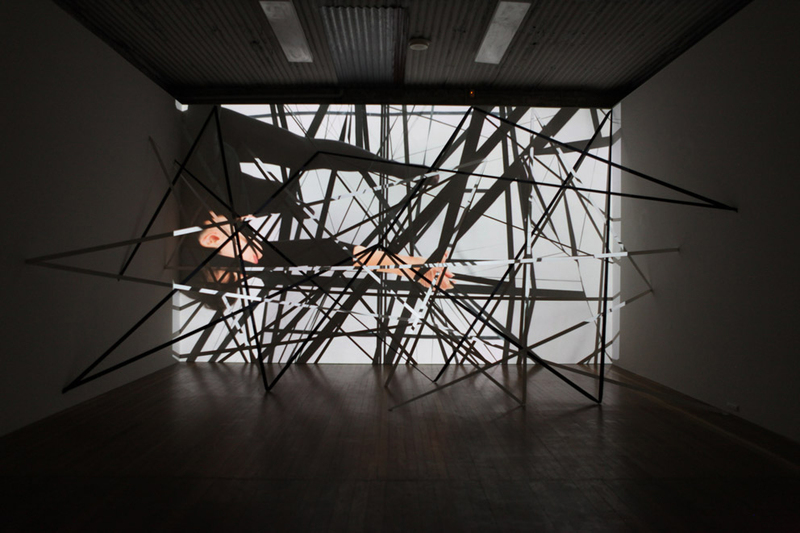 Julie Rrap, Outerspace, 2010, Digital Video, 1.33min loop, edition of 5. Lyndell Brown & Charles Green, Night propellor change, Gulf, 2007-09, digital colour photograph, inkjet print on rag paper, 37.4 x 51.7. LEGACY. Your collection. Our story. curated by Anouska Phizacklea at the Monash Gallery of Art includes important works by LYNDELL BROWN & CHARLES GREEN (pictured) and ANNE ZAHALKA. The exhibition celebrates the impact benefactors have had on the development of one of the nation’s most unique and important collections, a collection dedicated to Australian photography and its artists. LEGACY teases out the fascinating and compelling stories behind the works and their donors, and along the way showcases significant works that chart the history of MGA, from a Joseph Albers tapestry donated by Harry Seidler, the architect of MGA’s building, through to the most recent donated works. The exhibition continues until 19 September. A selection of works by PAT BRASSINGTON are currently on display at the Monash Gallery of Art as part of 'LEGACY +...collecting contemporary'. This offshoot of 'LEGACY. Your collection. Our Story,' showcases the work of artists who create incredibly potent narratives within their practice, with performative, experimental and chance encounters tying these works together. The exhibition continues until 19 August. Pat Brassington, Starlight from the series Gentle, 2001, pigment print, 65 x 43.5cm. 'Infinite Conversations: Asian-Australian artistic exchange', at the National Gallery of Australia, features iconic works by LYNDELL BROWN & CHARLES GREEN, ROSE FARRELL & GEORGE PARKIN (pictured), GUO JIAN, GUAN WEI, and JOHN YOUNG. This exhibition considers the creative practice of artists from mainland China and Hong Kong, a number of whom settled in Australia following the 1989 Tiananmen Square protests. Using diverse modes of production, these artists confront and recount the challenges of making a new home with shifting degrees of grief, poetry and optimism. A second gallery examines the relationships between Asian and Australian artists, revealing a rich, sometimes disquieting dialogue as concepts of race and culture are provoked and explored. The exhibition continues until 9 September. EUGENIA RASKOPOULOS, JULIE RRAP and ANNE ZAHALKA have been included in the important exhibition Dark Rooms: Women Directing the Lens 1978–98 at Griffith University Art Museum. Griffith University Art Museum says: "Against the backdrop of the feminist movement and activism in arts and politics, many women artists during this period made work that refused the male gaze. Acutely aware of the ways in which the lens could empower or reduce the subject, they put themselves, friends, and family in the picture, and in doing so, changed the cultural landscape of Australia. Photomedia became an important way for artists to confront racism and the objectification of peoples; disrupt and subvert sexually violent imagery; and forge a renewed interest in psychoanalytic theory." The exhibition opens 14 July from 2pm at the Griffith University Art Museum, Brisbane. The exhibition runs until 25 August. Eugenia Raskopolous, Untitled No 3, 1998, Ilfachrome photograph, 77 x 99 cm. Julie Rrap, Persona and Shadow: Madonna, 1984, cibachrome print, 194 x 105cm. Anne Zahalka, The Artist (Self-Portrait), Berlin, 1987, cibachrome photograph, 80 x80cm. Pat Brassington, Heart's Blood, 2017, pigment print, 90 x 65cm. PAT BRASSINGTON currently has her second solo exhibition on at Ten Cubed. Ten Cubed first began collecting Brassington's works in 2010, acquiring two prints – 'Going' and 'By the Way' – from her self-titled exhibition here at ARC ONE held in the same year. Early on, Brassington was selected as a core artist in Ten Cubed's collection and her first solo exhibition was held in 2014. The exhibition will continue until 8 September, 2018. In an extraordinarily short time HONEY LONG & PRUE STENT have achieved considerable recognition in Australia and overseas in L.A, Zurich and Mexico. Here's a list of recent international publications the collaborative duo have been included in: Sleek, Kunst Forum International, Plastik Magazine, The September Issues, ETC and Moon Man. Honey Long & Prue Stent, Nasturtium I, 2014, archival pigment print, 72 x 108 cm. Guan Wei, Treasure Hunt, 2017, woven by Chris Cochius, Pamela Joyce, Jennifer Sharpe & Cheryl Thornton, wool and cotton, 86.4 x 360cm, commissioned by the Australian Tapestry Workshop. GUAN WEI's Treasure Hunt will be cut from the loom next Tuesday 10 July. Commissioned for the Australian Tapestry Workshop, the woven work will then make it's way to Sydney to the Australian Design Centre for Painting with Thread, an exhibition of recent tapestries and samples from the collection of the Australian Tapestry Workshop. The exhibition will be from 3 August - 26 September, 2018. JANET LAURENCE's work is included in the upcoming exhibition at 45 Downstairs, All We Can’t See: Illustrating the Nauru Files. The exhibition depicts individual interpretations of the leaked Nauru files exposed by The Guardian in 2016, illuminating the stark human cost of Australia’s policies of offshore detention. The Nauru Files are Australian stories. They are the consequence of Australian government policies, and they are shaping our national identity. The exhibition opens 31 July and continues until 11 August, 2018. 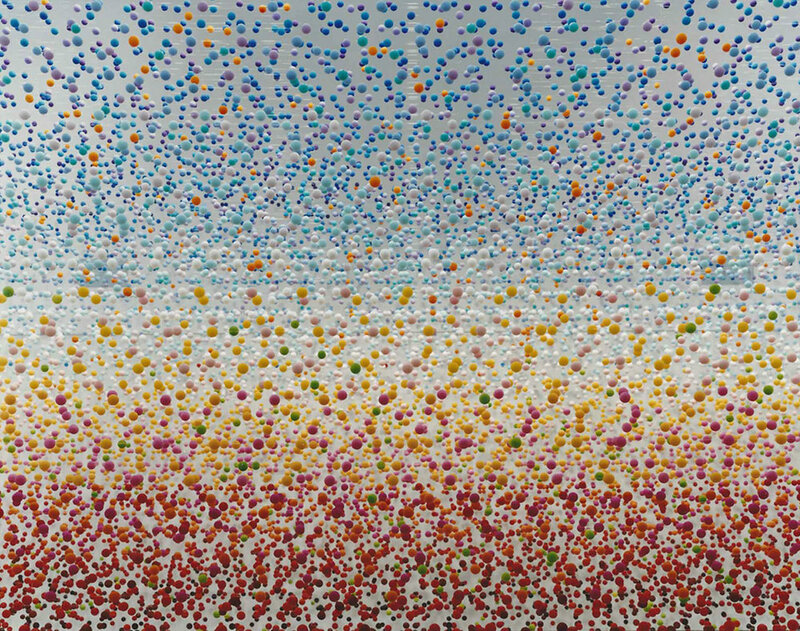 NIKE SAVVAS' spectacular installation work Atomic: Full of Love Full of Wonder is included in the exhibition Spacemakers and roomshakers at the AGNSW. Nike will talk about her work on Thursday 26 July, at 12pm at the AGNSW. Meet at the information desk.